Nice catch. 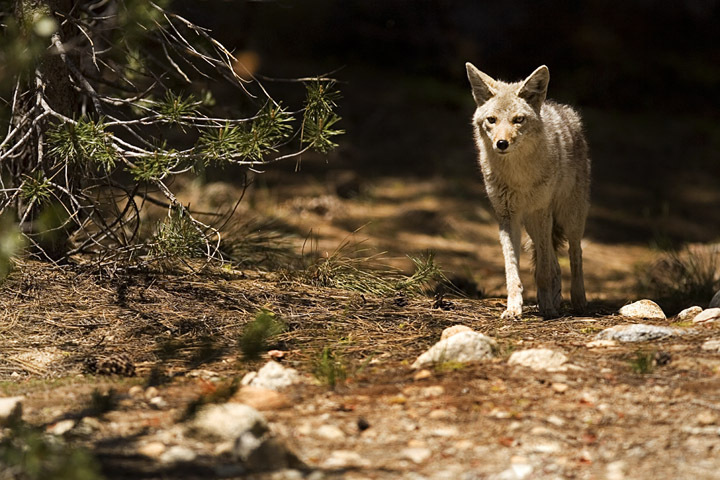 Coyotes are difficult to catch not running away from you. Good framing and DOF. Maybe a bit of a stretch for the challenge but good selection if you didn't have any cowboys or saddles. Great image -- a stretch making it meet the challenge. Doesn't feel very cowboyish to me. A nice capture of an elusive varmit in daylight hours. By itself it's a wonderful image that would fit in many challenges. It fits this one, but a tad thinly IMO (very title dependent). Best of luck in the challenge. Great photo, but doesn't work with the theme for me. Proudly hosted by Sargasso Networks. Current Server Time: 04/23/2019 01:55:52 AM EDT.